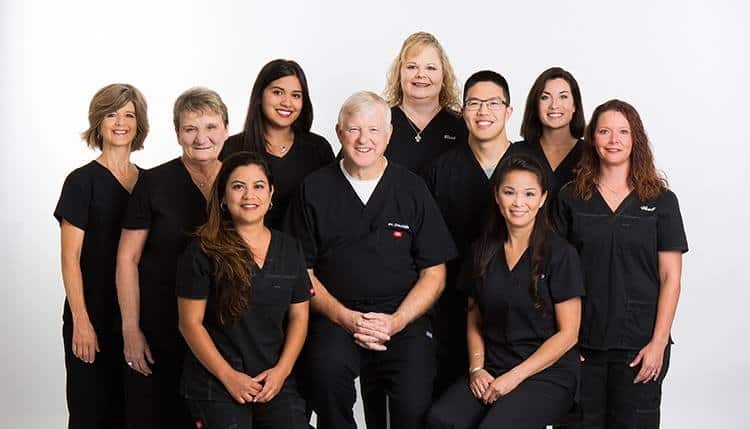 We are proud to offer advanced periodontal, mucogingival and dental implant care to Katy and surrounding communities as Periodontists - dentists who specialize in gum disease and dental implants. With our experienced staff, we strive to offer cutting edge therapy with integrity and professionalism. In addition to traditional treatments for periodontal disease, cosmetic periodontics and tooth replacement with dental implants, we strive to implement new proven technologies such as LANAP laser periodontics for gum disease, Cone Beam 3D imaging and 3D printing for safe and accurate dental implant placement, VELscope cancer screening, digital x-rays and more. Through integration of new technologies into our practice we are able to provide you with increased comfort and results. Our philosophy is to restore and maintain the health of your teeth. We will work closely with your general dentist and work as a team to provide you with quality dental care. Contact us today at (281) 392-6000 or request an appointment here. Dr. Timothy Hale is a native Texan and graduate of Texas A&M University. In 1980, he earned his Doctorate of Dental Surgery at the University of Texas Dental School at San Antonio. His career began in the US Army, where he served a one-year General Practice Internship in Dentistry. Dr. Michael Nguyen is a proud Houston native and a graduate of St. Thomas Catholic High School. He attended the University of Texas at Austin earning a Bachelor of Science in Biochemistry. He earned his Doctorate of Dental Surgery at Texas A&M Baylor College of Dentistry in Dallas, TX.